When anyone talks about streaming services, the only name that we hear about is ‘Netflix.’ Netflix is definitely the best movie and TV shows streaming service as its recent comparison with Hulu has shown, but some shows and content categories are missing from the vast collection that Netflix carries. If you are one of those people who doesn’t want to subscribe to Netflix or aren’t satisfied by its collection, then you have come to the right place. 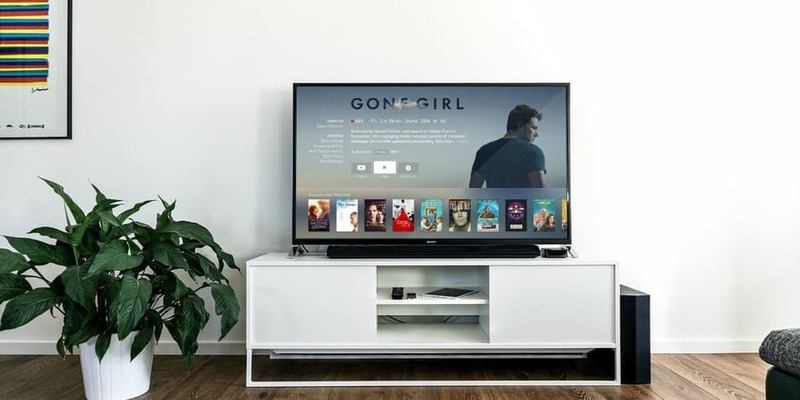 As mentioned in our comparison of the two services, Hulu is a great alternative to Netflix if you want to watch content from major networks like NBC and Fox the very next day of airing. Hulu also has its own original shows, albeit not as famous as those offered by Netflix. The only thing that may put some of you off is that Hulu is available only in the US. Of course, you can use a VPN to access it in other countries but that is not a permanent solution, and you may lose your subscription at any time. You can also read our detailed comparison Netflix Vs. Hulu. Hulu costs $7.99 per month, but if you want commercial free access, you will have to pay $4.00 extra. Hulu offers a one month trial period. Visit the official site for more details like features, promos, and free trial. Amazon Video is another viable option for people residing in US, UK, Japan, Germany, and Austria. It is owned and operated by Amazon and is a video on demand service. You can rent videos for a 24 hour period at $2.99 and purchase the same videos at up to $14.99. Amazon Video offers a 30-day trial period. For more details visit the official site. Sling TV is a service for those cord cutters who don’t want to lose on live television. Apart from its selection of movies and TV shows, Sling TV also lets you stream live content from channels like CNN and Food Network. The service only cost $20, which isn’t a lot if you ask us as the service offers so much more than meets the eye. Sling TV offers a trial service of 7 days. You can learn more about features and exclusive offers by visiting the official site here. If you are one of those who likes UK content more than the US shows, then you are in luck because we have found the perfect service for you. This is the best Netflix alternative if you want to watch TV shows like ‘Outnumbered’ and ‘Jeeves and Wooster’ etc. Acorn TV also offers a trial of one month and costs only $4.99, which is almost half of the HD option of Netflix. To learn more about what Acorn offers visit their website here. While not exactly a service which could replace Netflix, Crackle is still a good choice if you want to stream movies. Crackle is owned by Sony and carries movies from all genres including horror as well as comedy. Did we mention that it’s completely free? Yes, that’s right, but you’ll have to make do with a commercial or two during the movie. Visit the official site to learn more about features, promos, and free trial. Another great alternative if you are a movie a fanatic is MUBI. MUBI follows an interesting approach to content distribution. Every day, their team picks a new movie for you to watch. That makes 365 movies a year. One little problem, though, is that the movies are only available during the month they were released in. MUBI is available in almost all countries worldwide and is available at only $5.00 per month. Visit MUBI for more information about the movies streaming service. This is an exciting service since it doesn’t contain any regular TV shows or movies in its collection. Instead, this service is primarily targeted towards teens who love to binge watch anime or manga series. Crunchyroll has an ad-free version, which is only available in standard definition and on limited devices. $7.00 per month gets you HD video and ad-free access to Japanese shows like Sailor Moon. Add another $5.00, and you get free shipping on products bought from their online store, exclusives and VIP access at anime and manga conventions. You can learn more about Crunchyroll by visiting the official site. We have done our job by reviewing some of the best and similar service providing sites. These alternatives aren’t for everyone, but if you have some specific content requirements such as exclusives which aren’t available on Netflix, then the chances are that one of these services will be able to cater to your needs. The best thing about these streaming sites is that they are all available on the leading device platforms like Android, iOS and offer some sort of free trial. Do you know of a service which should be included in the list? Finally, don’t forget to share thoughts and experience about your favorite streaming sites like Netflix in the comments below.